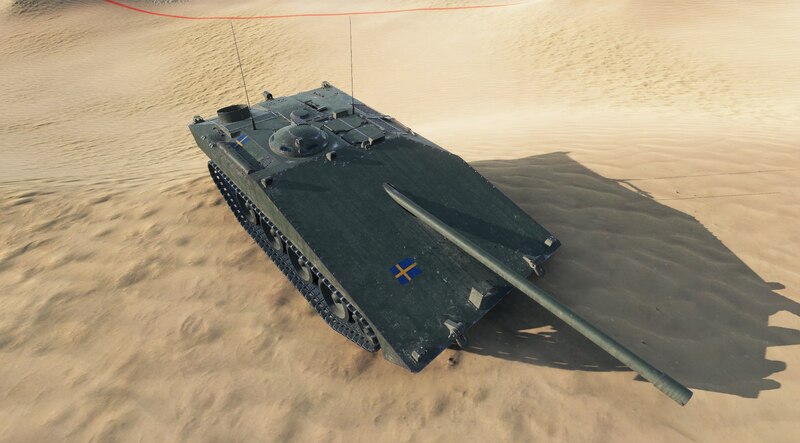 Here is a new information from Supertest – has began testing the first premium tank destroyer from Sweden branch. It will be tank 8th level, with a characteristic hydro-pneumatic suspension. 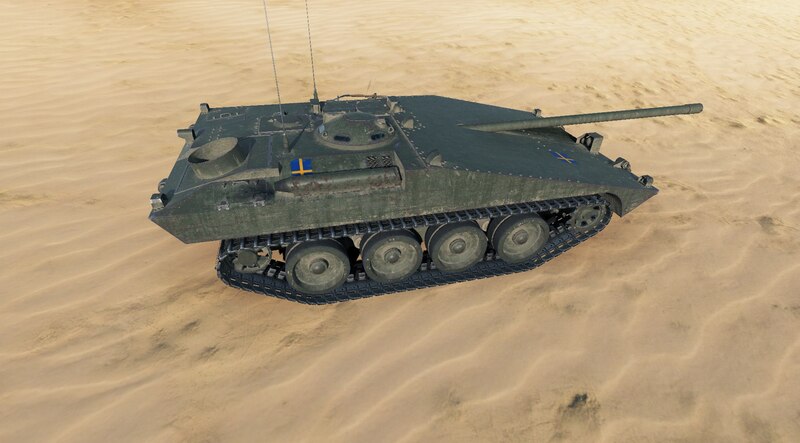 This machine will be similar to the tank Destroyer 9 th and 10 th levels, taking into STRV S1 level. It will be comfortable for the players machine with excellent fire capabilities: it will be installed 105-mm cannon. This tank exterior is not final: closer to the release it will be changes that make its appearance more interesting. When will start update 0.9.18?